Telangana state – state eligibility test 2018 notification with exam date, online application submission dates, fee structure, eligibility and exam centers available at telanganaset.org website. 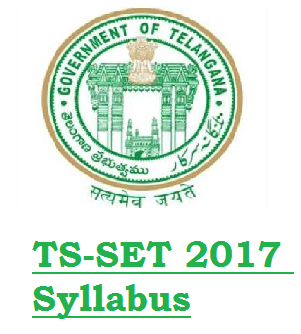 Telangana state-state eligibility test (TS-SET 2018) for the year 2018 is going to be conducted in the month of June by the Osmania University, Hyderabad. This is for recruitment and promotions of lecturers/assistant professors in college/universities as per the rules and regulations of the University. The office of the Telangana state eligibility test invited all the eligible candidates to fill up the Telangana SET online application form within the last date. These processes will require the applicants for the recruitment and appointment of assistant professor in college/universities/institutions. 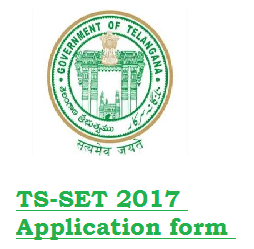 All the interested candidates check the TS-SET examination notification and apply online form through the official website at telanganaset.org. The candidates can apply and submit the online form from 22nd February to 20th March 2018(expected). All the details regarding this recruitment provided here. Osmania University, Hyderabad will conduct the Telangana state eligibility test. This test will be conducted for the hiring and promotion of assistant professor jobs in colleges. It is a best opportunity for the candidates to get into the teaching jobs. So all the interested candidates are informed to submit their online form on or before 20th March 2018. All the interested candidates can apply for this recruitment by clicking the link on the site. Before start filling up the application form aspirants need to check the eligibility criteria. For filling up the online form, you must have a valid email address and mobile number. Also upload the scanned copy of documents and signature, photos of the candidates. 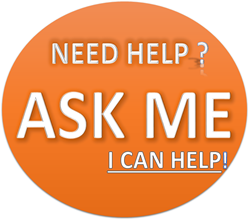 All the aspirants need to have master’s degree or Ph.D. Degree in relevant subject from recognized university with 55% academic performance. Final year students can also apply for this recruitment process. There is no age limit for this TS-SET examination. A candidate can appear any number of chances. The syllabus is based on CSIR/UGC-NET syllabus. This can be applicable for all other 29 subjects. There are three papers. The exam can be conducted in Telugu and English. The first exam consists of two papers. Paper I and Paper II. PAPER I: It consists with 60 questions from that 50 questions to be answered within 75 minutes. PAPER II: It consists with 50 questions and all the 50 questions to be answered within 75 minutes. PAPER III: This paper consists with 75 questions and all the 75 questions to be answered within 150 minutes. All the three papers conducted on the same day morning and afternoon. Each question carried with four multiple choice options. The candidates have to choose only one of the suitable answers and mark down in OMR answer sheet. There is no negative mark. All the previous year question papers and detailed syllabus for the exam available on the official website. Candidates can download it and make their individual study plan to get success in the written examination.